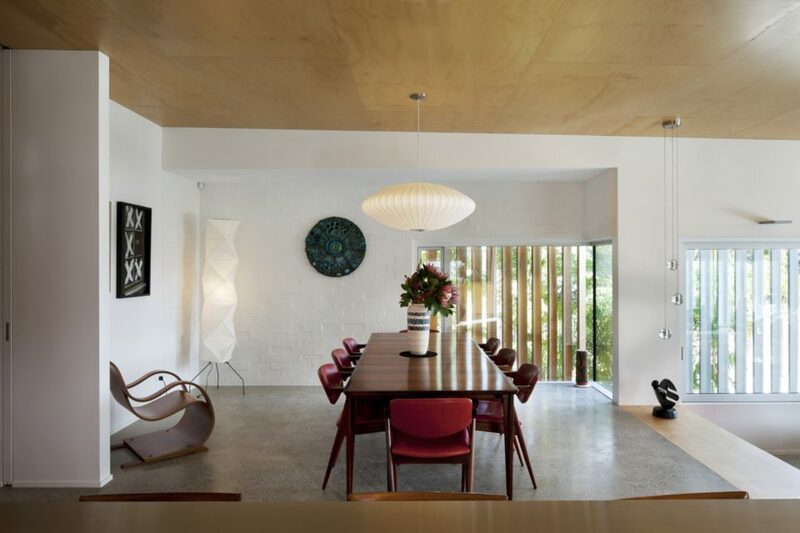 This house designed whilst employed at Bossley Architects has been inspired by the clients love of mid century architecture, art and design. The site which is only 15 metres wide resulted in a long narrow form that steps down the steeply sloping site. 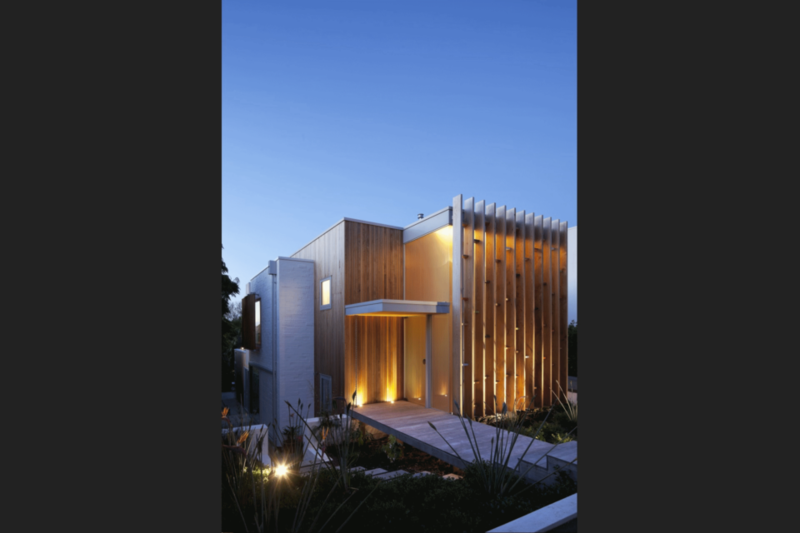 The clients were very open to the idea of giving back to the street so instead of a wall of garage doors or a 1.5 metre high fence, there is just a bridge across a mass of planting to the front of the house. 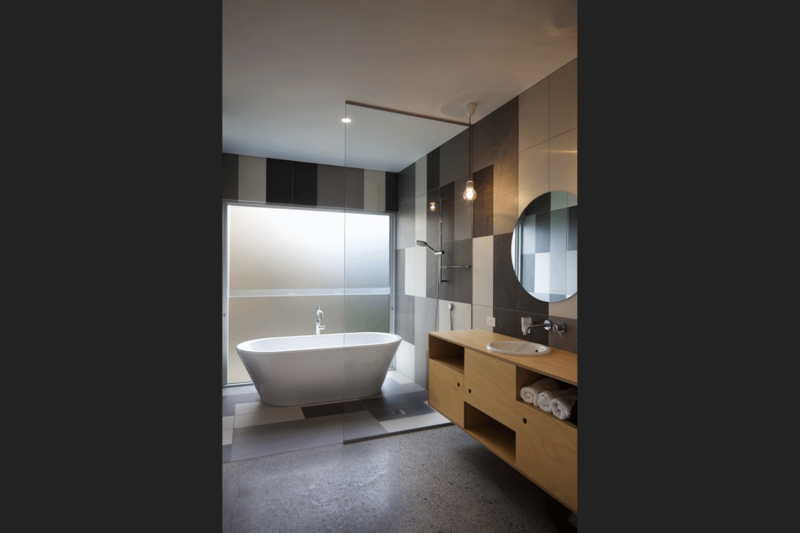 To give privacy to the interior a timber screen with splashes of colour protects a wall of transluscent glass. 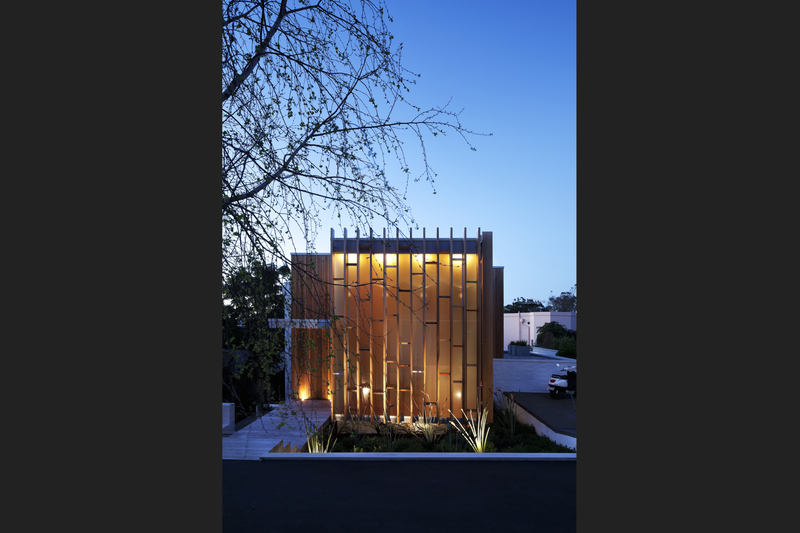 This screen casts beautiful shadows into the interior spaces and at night the glass wall glows like a lantern, whilst still maintaining privacy for the occupants. 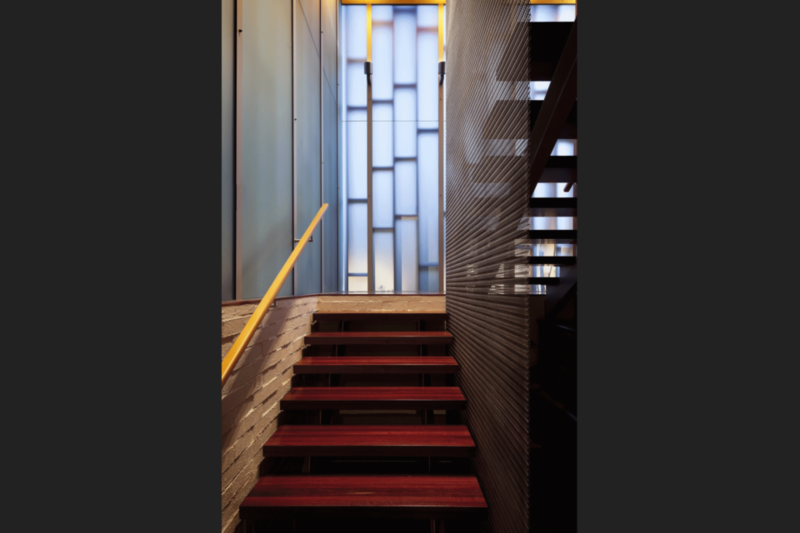 The entry space with its beautiful jarrah and steel staircase connects the upper and lower levels of the house. 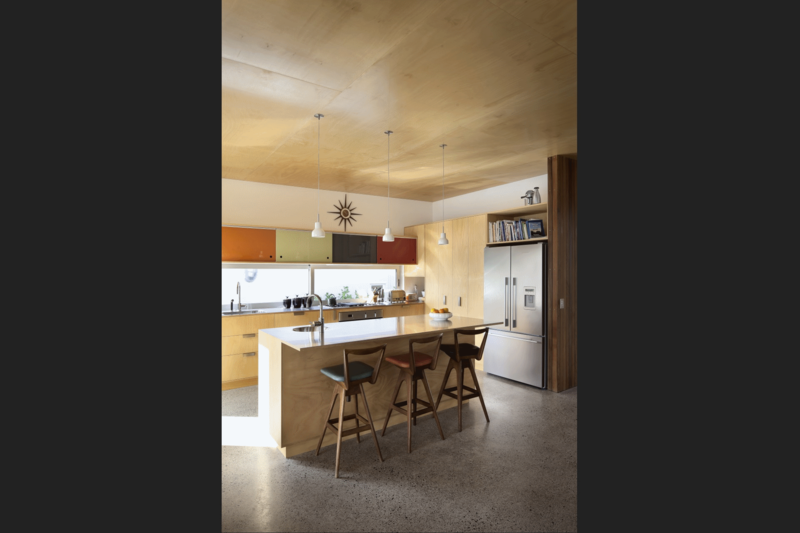 Kitchen, dining and living area are located on the upper floor and open out to a large deck which has views of the Auckland harbour. 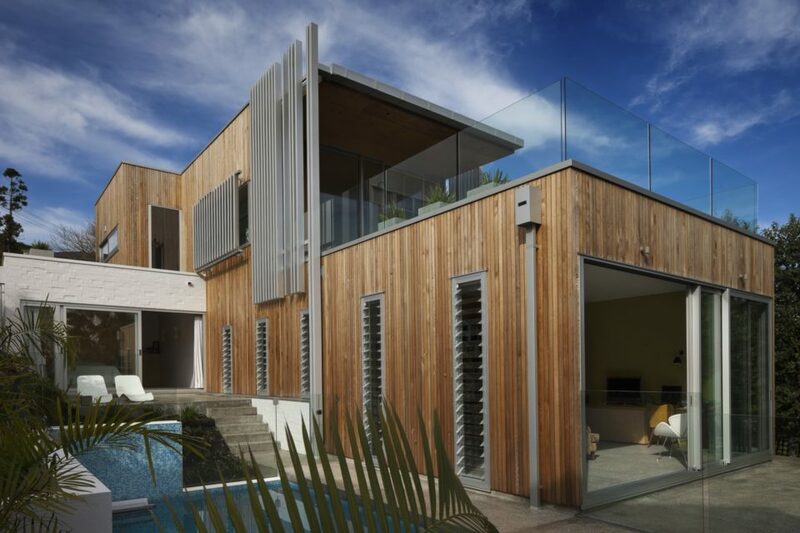 Due to the closeness of the neighbors at this level, privacy is controlled by large motorised opening panels of either cedar or aluminium. 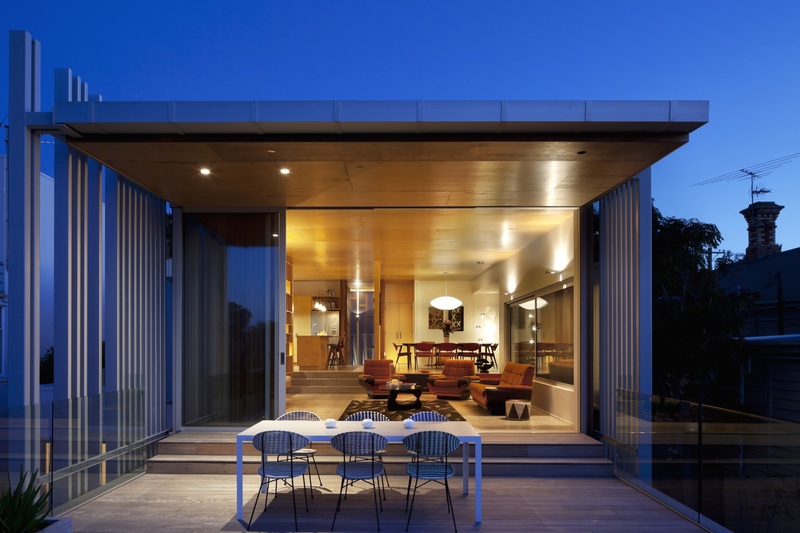 This also allows the occupants to control the amount of light entering these spaces. 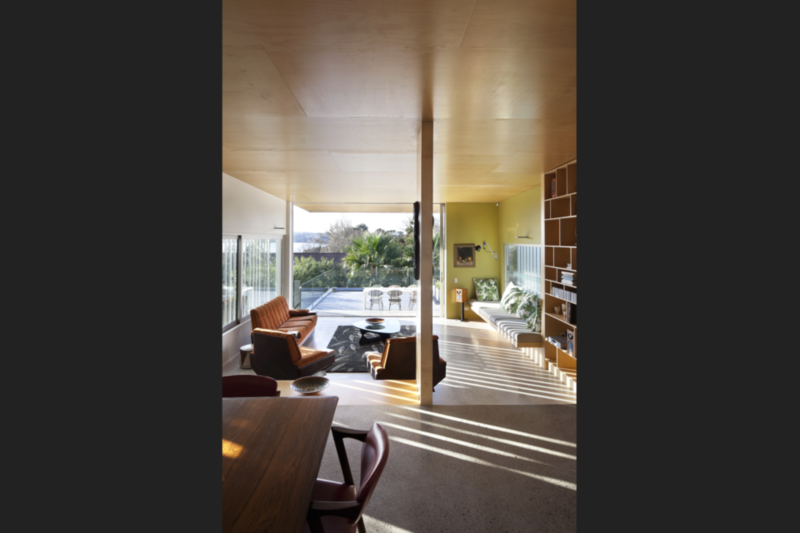 On the lower level the honed concrete slab steps to follow the slope of the site creating three levels that provide separation and privacy between the bedrooms. Each of the four bedrooms opens out onto their own private terrace, a creative use of the usually left over side yard zone. 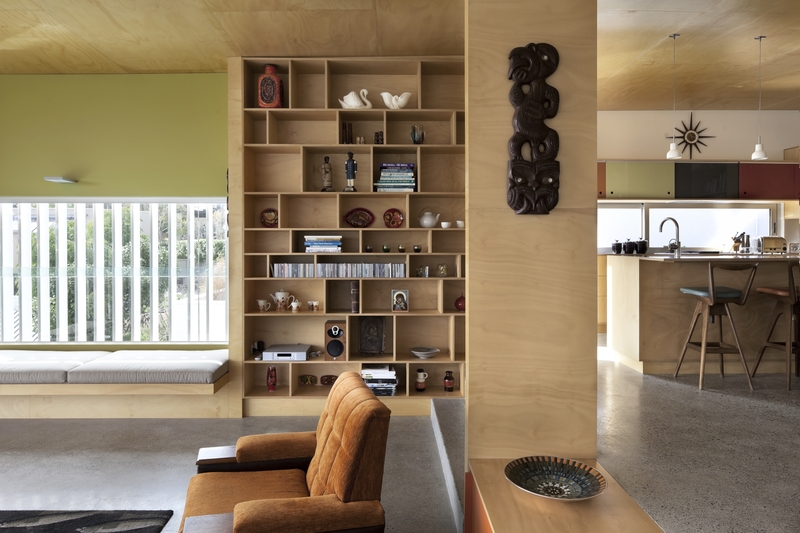 Located on the lowest level at the end of the house is a second living area which also doubles as an office. This opens out onto the terrace adjacent to the pool. 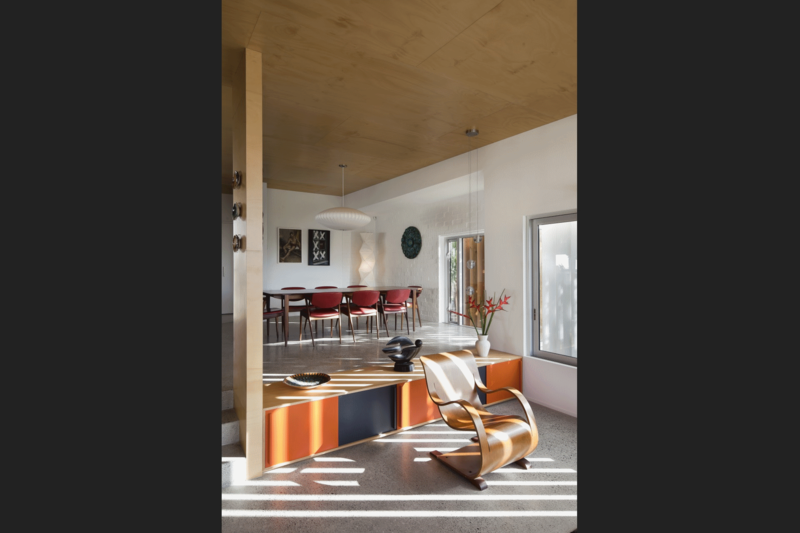 The selection of materials such as the narrow vertical cedar weatherboards, double skin bagged brick work and the built-in hoop pine cabinetry reinforce this modern take on mid century architecture.